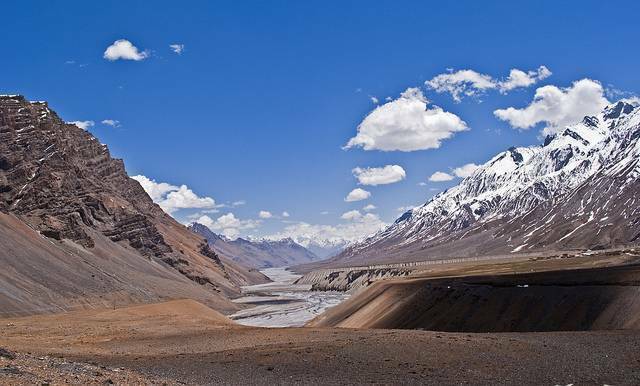 Spiti Valley is a place that would give a feel of a desert in the mountains. The headquarters of Spiti valley is Kaza. More famously called as little Tibet, Spiti gives a complete insight into the lifestyle of the inhabitants of the valley. When one enters Spiti from Lahaul one gets enchanted by the Kunzum pass. Also adjoining Kunzum pass is another breathtaking spot which is the Chandertal Lake that mesmerizes visitors with its clear blue waters. Do visit the largest monastery in Spiti which is the Kye Gompa.